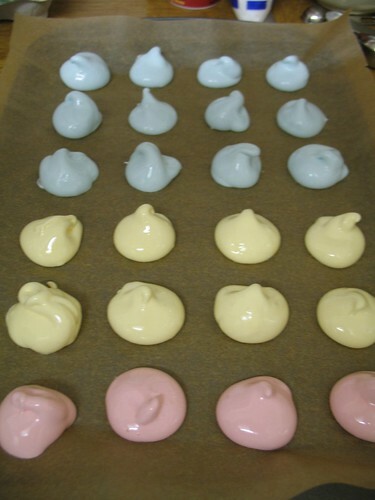 perhaps this blog entry is a bit premature - the meringues are still in the oven - but i'm excited by a bit of sweet pastel goodness for our easter trip to yorkshire. 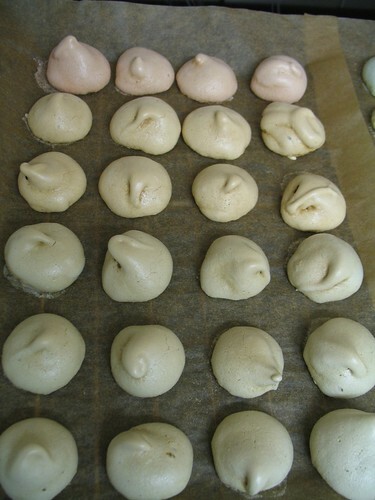 i'm making meringues. s informs me that "mer-in-gyoos" is the proper pronunciation for these tiny treats. so be it. 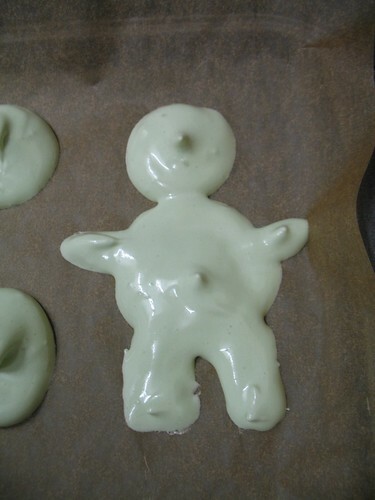 i asked s to choose his own special shape and colo(u)r. i present the green mer-in-gyoo gingerbreadman. hmmm. not entirely convincing, is it? hopefully the fully baked version will be less...pointy. stay tuned. oh dear, slightly disappointing result. where did the color go? 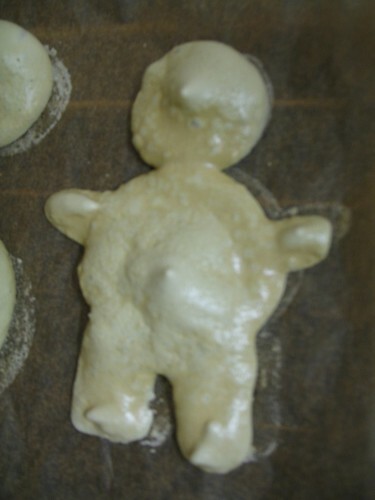 and the gingerbreadman. oh no... at least he came off all in one piece! in the interests of full disclosure, i should mention that the gingerbreadman's neck broke while i was attempting to move him to a safer spot. ouch. it had nothing to do with my general clumsiness. really.